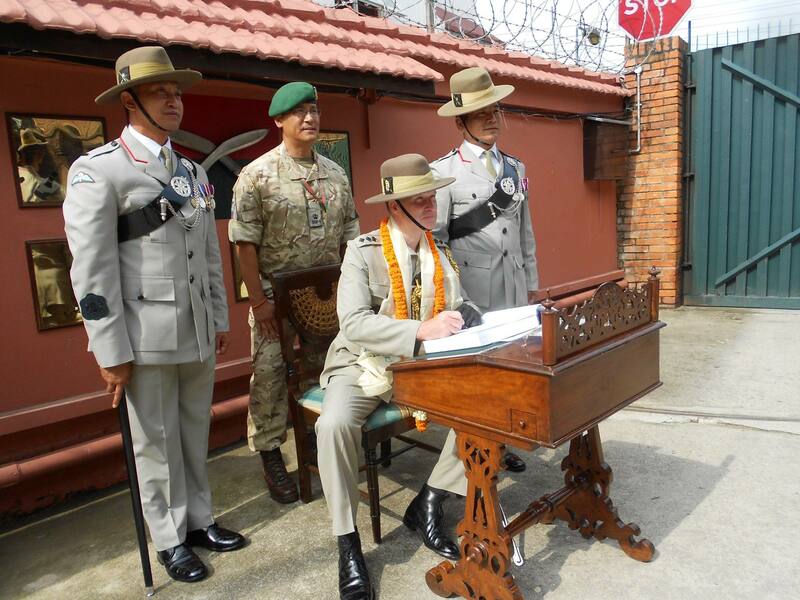 There has been a number of changes at the command level of British Gurkhas Nepal with a new Commander BGN, new DCOS and new GM. 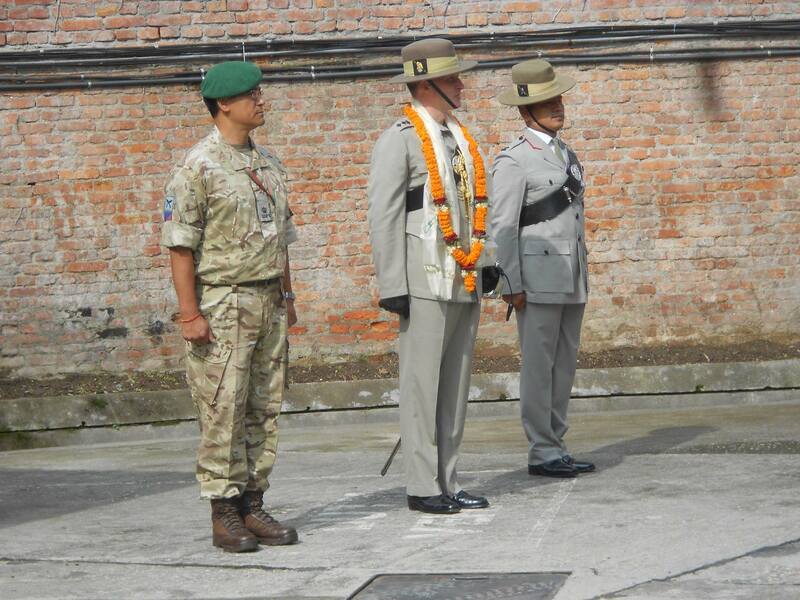 Colonel Ian Logan takes of from Colonel Harris while HQBG’s former DCOS, Major Bijayant Sherchan GSPS, has taken over the DCOS role. 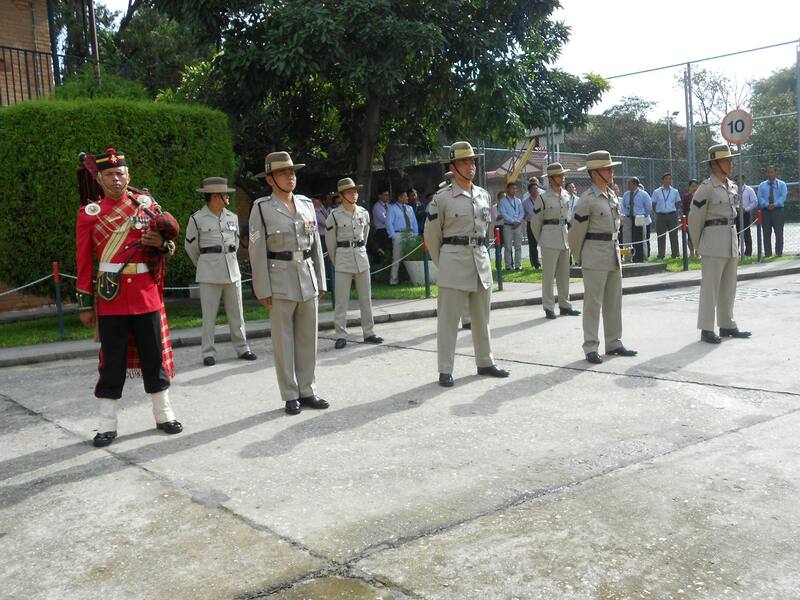 They are joined by former Queens Gurkha Orderly Officer Major Prakash Gurung MVO RGR as the new Gurkha Major. 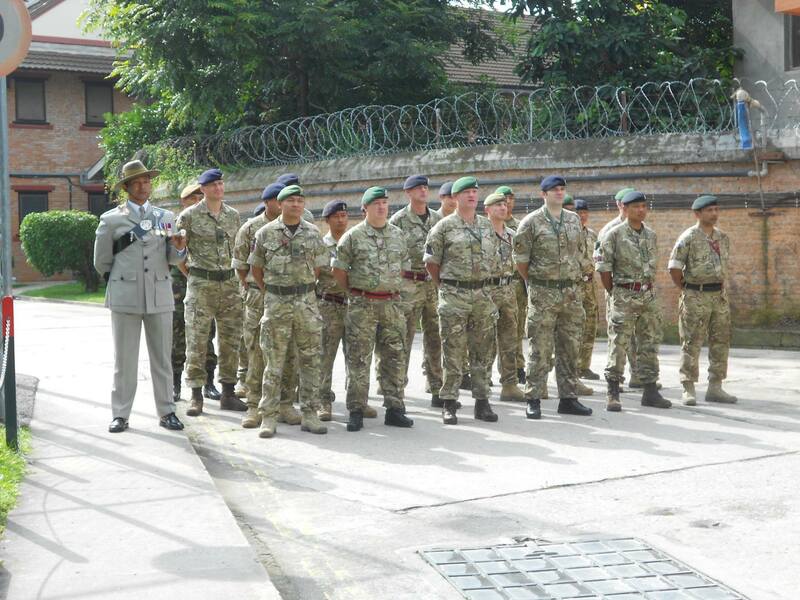 The Colonel was welcomed to BGN by the new DCOS and GM during a formal reception on 3 September 2015. Colonel Ian Logan joined the Army in 1986 and was initially commissioned into The Royal Tank Regiment. As a Junior Officer he held appointments as Reconnaissance Officer, Intelligence Officer and Operations Officer. In 1996, he commanded a Squadron in Germany and Northern Ireland. He was posted to the Combined Arms Field Training Group in 1998 to command the newly formed Tactical Engagement Simulation Training Advisory Team. In 1999 Colonel Logan attended the Joint Command and Staff Course in Bracknell, transferring to The Royal Gurkha Rifles (RGR) as a permanent cadre officer in 2000. He served as a Company Commander with the 1st Battalion in Brunei and Sierra Leone. From 2002-2004 he served as a Staff Officer in Headquarters Northern Ireland. In 2004 he returned to regimental duty in Brunei as Battalion Second in Command. He deployed with the 2nd Battalion to Afghanistan in 2005 initially as Chief of Staff of the UK Provincial Reconstruction Team, then as Military Assistant to the Deputy Commanding General Combined Forces Command Afghanistan. 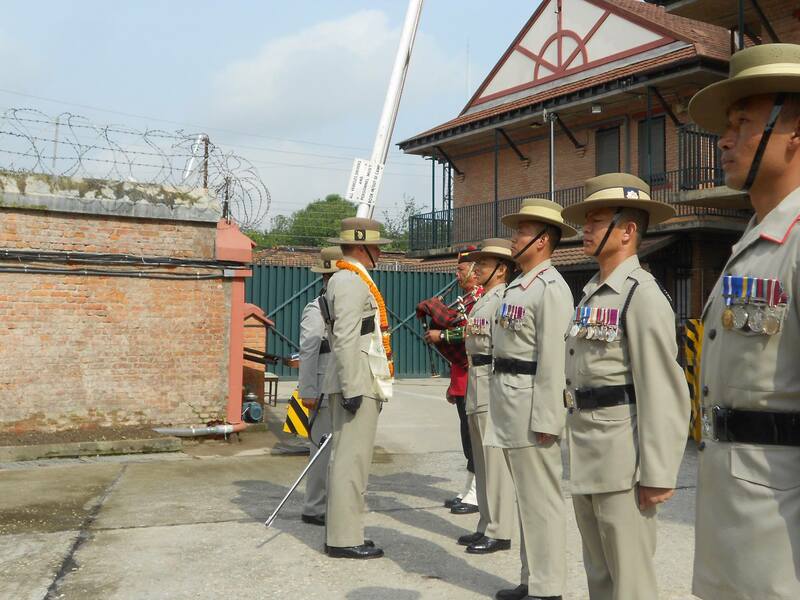 In 2006 he served as the Chief of Staff of Headquarters Brigade of Gurkhas (HQ BG), where he was responsible for implementing the MOD Review of Gurkha Terms and Conditions of Service. He was promoted to Lieutenant Colonel in 2007 and served on the MOD policy staff of the Assistant Chief of Defence Staff for Logistics Operations. In 2009 he was seconded to work on a number of studies for the Strategic Defence Review. In 2010 he was assigned to the Army Command and Control Development Centre in Warminster where he was responsible for Concepts and Doctrine. From 2012 to 2014 he was Commandant of the Military Corrective Training Centre, and Commanding Officer of the Military Provost Staff Regiment. 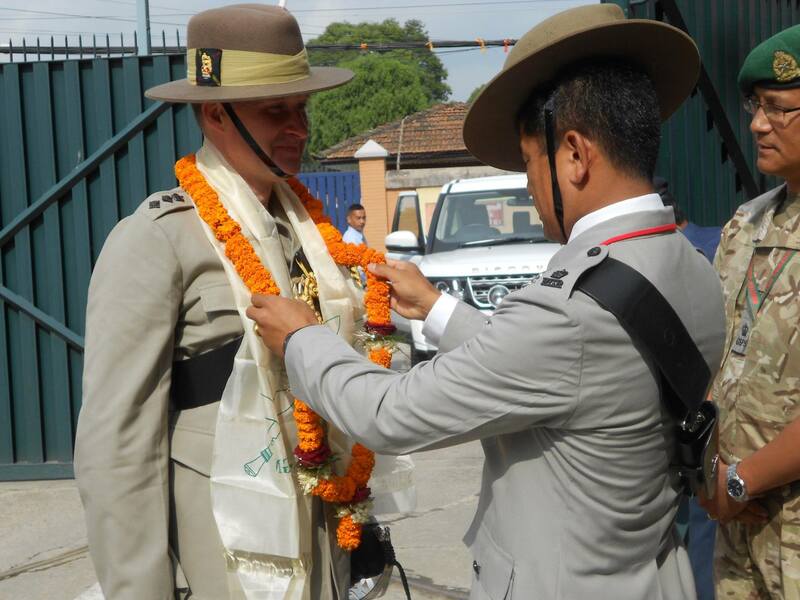 In 2014 he was selected for promotion and took over his current appointments as Defence Attaché Kathmandu, Commander British Gurkhas Nepal and Director of the Gurkha Welfare Scheme in August 2015. He is married to Edwina and they have three children. Grace (21) has graduated from the Royal Agricultural College and is employed at the All England Show Jumping Course at Hickstead. Ruairi (20) is a Royal Engineer Geographic Technician serving in 42 Engr Regt. Freya (17) is a sixth form student at Leweston School in Dorset. With his family he has travelled in South East Asia including Australia; Borneo; Cambodia; Nepal; New Zealand; Malaysia; Singapore and Thailand. His interests include deer management. He has recently handed over as the Secretary for Defence Deer Management, which is an organisation of 300 MOD Crown Servants who manage deer on behalf of the UK MOD over some 240,000 hectares of the UK Defence Estate.